We have developed this Privacy Statement as we are committed to protecting your personal information and keeping this personal data safe. Fishlove takes the handling of personal data seriously and is fully aware of the confidential nature of some of the data it holds. The policy below details how Fishlove will treat personal data after it has been collected by the company, and we assure that we will only use this data as specified here and for our legitimate business reasons. Specifically, we explain what types of personal data we collect, when and why we collect it as well as how we handle it and keep it safe. Please read it carefully to understand how your personal information will be used. We may change this statement from time to time, so please check it periodically. All information held by Fishlove is strictly for its own use. Information will not be shared with any third party without prior consent of the data subject unless we are required to do so by law. Everyone in the workplace has a duty to protect the privacy of information relating to individuals. Information about individuals by Fishlove is held with the right of subject access, allowing any individual access to the information held about them. Integrity and confidentiality – that the personal data should be held in a safe and secure way that takes reasonable steps to ensure the security of this information and avoid accidental loss, misuse or destruction. 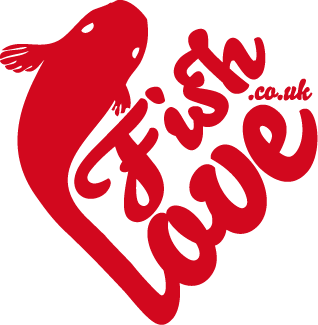 lexiconl.co.uk is owned and managed by Fishlove. When you use our website, you are agreeing to the terms set out below. We hold no more personal data about individuals than is sufficient for those purposes detailed above. We will never sell, rent or trade your personal information to third parties for marketing or analysis purposes. Although we sometimes will tell you about work from others, we won’t pass information we hold about you to them – unless you give us your permission. Any feedback you give us we may use in public communications. But we won’t do so in such a way that people would know it was from you – unless we get your permission. We will share your personal data with law enforcement agencies or other organisations or individuals if we are obliged to by law. Such situations may include sharing your data if we are requested by the police or a regulatory authority investigating illegal activity; to protect the personal safety of users of our services or the public; or to protect and defend the rights or property of Fishlove. Fishlove regularly reviews the personal data it holds and deletes anything it no longer needs. Information that does not need to be accessed regularly, but which might need to be retained for analysing purposes, is safely archived. Fishlove stores all personal information in a secure environment. While we cannot guarantee the security of the Internet, we do take precautions to protect your information. All information we store is password protected, and these passwords are accessible only to those with permission to see it. As such, only employees and approved contractors and developers who need the information to perform specific jobs have access to personal information. We also analyse data from our social media platforms (facebook, twitter, Instagram, youtube) in order to improve our performance and engagement on these platforms. We do not store credit card details nor do we share customer details with any third parties. You can update your details online, or by contacting us at [email protected] if your personal information changes or you wish to correct it. We will update, correct or remove your personal information as soon as possible. This website uses Google Analytics, a web analytics service provided by Google, Inc. (“Google”). Google Analytics uses “cookies”, which are text files placed on your computer, to help the website analyze how users use the site. The information generated by the cookie about your use of the website (including your IP address) will be transmitted to and stored by Google on servers in the United States. Google will use this information for the purpose of evaluating your use of the website, compiling reports on website activity for Fishlove. Google may also transfer this information to third parties where required to do so by law, or where such third parties process the information on Google’s behalf. Google will not associate your IP address with any other data held by Google. At any time you have the right to see the personal data that we hold about you, ask to amend the data, instruct us to change how we use your data, or ask us to permanently delete the personal data we hold about you. To do any of these things, write to us at [email protected] detailing what you would like us to do with your personal data. In order for Fishlove to release personal data information to you, you may need to supply us with appropriate evidence of your identity. Before the Website places Cookies on your computer, you will be presented with a popup requesting your consent to set those Cookies. By giving your consent to the placing of Cookies, you are enabling Fishlove to provide a better experience and service to you. You may, if you wish, deny consent to the placing of Cookies; however certain features of the Website may not function fully or as intended. STRICTLY NECESSARY COOKIES: These are cookies that are required for the operation of our website. They include, for example, cookies that enable you to log into secure areas of our website. These cookies are necessary for the proper operation of our Website, so if you block these cookies we can’t guarantee your use or the security of our Website. FUNCTIONALITY COOKIES: These are used to recognise you when you return to our website and are used to provide you the best user experience. These cookies are for instance used to remember your cookie preference settings as you visit our site. PERFORMANCE COOKIES: Performance cookies help us to understand the behaviour of our visitors and the usage of the Website. This allows us to continuously improve the Website to provide you the best shopping experience. _ga 2 years Used to distinguish users. The cookie is updated every time data is sent to Google Analytics. All Analytics data is fully anonymized. _gid 1 day Used to distinguish users for Google Analytics. All Analytics data is fully anonymized. _cfduid 1 year Used by the content network, Cloudflare, to identify trusted web traffic. PREF, NID, HSID, APISID, SID, SSID, SAPISID, GAPS, LSID, 1P_JAR, ULS, IDE, DV, UULE, SIDCC End of session When creating a Google account or logging in,these cookies are stored on the computer in order to remain connected to your Google account when you visit its service again. While you are logged in and use plug-ins from other websites, such as ours, Google uses these cookies to improve your user experience.